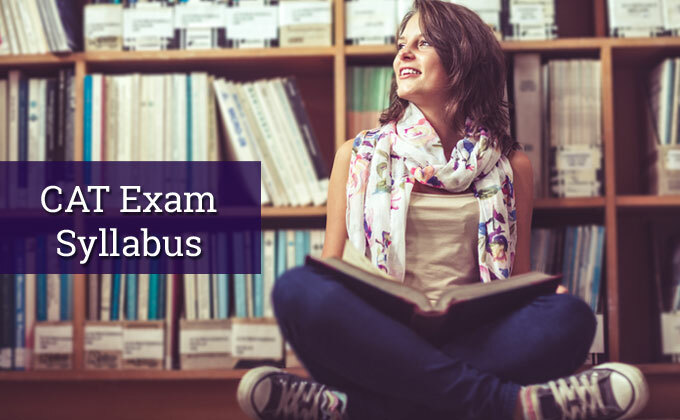 CAT Syllabus: In this article we help you understand the syllabus for CAT exam 2019. Studying through the CAT syllabus 2019 will help you get into the top twenty IIM’s and around 100 other institutes that accept the CAT exam score 2019. Indeed this is a fact that CAT does not have any prescribed syllabus but it has 3 sections viz; DILR , VARC ,and QA and traditionally aspirants are tested out in these sections , primarily for their quantitative skills and language skills. QA and DILR sections will test your quantitative aptitude and your data analytical skills along with your logical reasoning whereas in VARC , you will be tested for your language skills in areas of grammar , vocabulary etc. It is important for you to ensue that you do have clarity on the fundamentals of these sections. CAT is highly competitive common admission Test being conducted on behalf of 20 IIMs. Off-course CAT scores are meant only for IIMs but since CAT has attained a prestigious platform with perceived recognition as the best quality exam hence, top MBA institutes also accept only CAT scores. Focused CAT aspirant like you should also note that CAT scores are in percentile basis and not on percentage basis besides a rider with negative marking of minus one score, therefore, CAT is the most competitive exam wherein approximately one lac seventy-five thousand aspirants vie with each other year to year. The most important point in regard to CAT syllabus is that since nature of CAT exam is to test your Quantitative skills and Language Skills hence CAT has been formed in sections like QA, DI LR and VARC etc. There won’t be any syllabus for CAT 2019 also and questions will be asked among above sections only but yes there may be slight changes of shifting numbers of questions here and there. Please keep on watching this space for updated info on CAT 2019 which is likely to be convened by IIM Kolkata and CAT will be conducted in November, 2019 and notification to this effect will be out in July 2019. However, CAT aspirants must note that past pattern of CAT has suggestive history of asking question from different areas in sections of CAT which are detailed as below in this content article. There are three main sections in the CAT exam 2019 and the exam syllabus of CAT is divided accordingly. The CAT exam 2019 is time bound test and candidates will get 60 minutes to answer each section. Candidates must answer all questions in a section and only then move to the other section. CAT 2019 exam is an online exam with 75 MCQ and 25 Non MCQ type questions. In the last 3 years, since 2015 there are almost nil questions based on vocabulary and grammar. VA: Jumbled paragraph, Paragraph summary and picking odd sentence out of jumbled sentence.